1. What is it about the 1800's that fascinates you? - I usually say it’s because life was simpler, but that’s not entirely true. Life was simpler in many ways, and in my imagination that amounts to none of the modern distractions we have today. For me, it’s escaping from the modern world and living in a time when people had to slow down enough to give thought to every little task. Of course, 1800s in rural Montana Territory was different from the 1800s in a city, but it’s the simplicity and purity of life back then that draws me to it. 2. Montana is a gorgeous state. Why did you choose it as your setting? - It is gorgeous. When I first moved to Montana, I liked to boast that we had fewer than one million people and I wouldn’t like see it go over that number in my lifetime. I was quite wrong, and in many ways the state has changed so much—too much—for me. Except, I still remember what it was like the first time I saw it. I was in awe of the mountains that were as impressive as those I’d known in Colorado, yet different. The more research I did on the state, the more I understood how remarkable (though not easy) it must have been a century ago. And it’s a part of who I am, and natural to give the Gallaghers their home here. 3. Amanda and Ben are your main characters in this book. What are some of their biggest challenges? - I put my poor characters through the ringer at times, and Amanda and Ben are no expection. I like to test my characters so both they and I know how strong they really are. Amanda came to Montana, and Hawk’s Peak ranch, by way of both a physical and emotional journey. It’s not easy for her, but she’s a trooper. Ben does have a past, and one he doesn’t talk about, yet by speaking of some of what he experienced, he helps Amanda with her journey. Without giving anything away, all I can tell you is that their individual challenges are woven together to the point where they are fighting for the same things. - I seem to find new authors to add to my favorite list every year, but the top five tend to stay the same: Edward Rutherford, Kathleen Woodiwiss, Charles Dickens, Johanna Lindsey, and Julie Garwood (her historicals). 5. What book have you reread the most? - There are quite a few that I’ve read a dozen or so times (probably more), and I honestly don’t know which I’ve read more than any other. If I were to guess, I would say Ransom by Julie Garwood or Ashes in the Wind by Kathleen Woodiwiss. One woman's desperation to escape would become the greatest journey of her life. Amanda Warren arrived in Briarwood, Montana, with one satchel and a dream. After death destroyed her happiness, she fled, unwilling to believe that was the end, yet her weary spirit thought only of survival. Then she met the Gallaghers. They took a chance and gave her a home and a family, but is she strong enough to make a new start? Ben Stuart has seen more of life than he wants to remember, but with the Gallaghers he had found a place where he could forget times gone by and live the life he always wanted. When Amanda arrived at Hawk's Peak, Ben saw a woman hiding from secrets and running from her past. How will he convince her that the journey is over? Join us on a journey to Hawk's Peak for a romantic adventure you'll never forget. "Any reader who loves westerns, romances, historical fiction or just a great read would love this book, and I am pleased to be able to very highly recommend it. This is the first book I've read by this author, but it certainly won't be the last. Do yourself a favor and give it a chance!" "You will love where she takes you and will fall in love with all her characters." "This series is spell-binding. 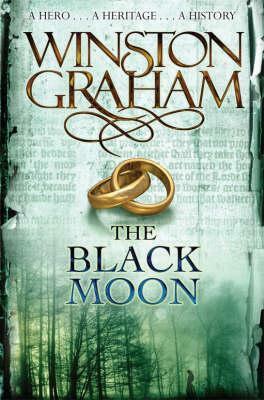 Once you start it you cannot put it down." A note from the author . 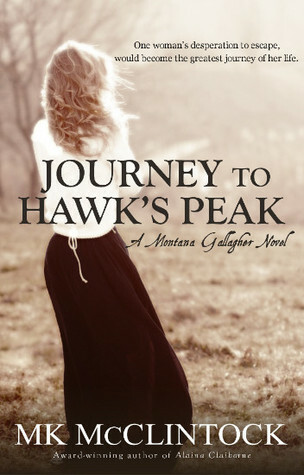 . .
Little did I know that my first published book, Gallagher's Pride, would lead to a fifth Montana Gallagher book and yet here we are. Amanda Warren entered the Gallaghers' lives in book three, and I immediately knew she would need a story of her own. Her past held many unanswered questions, and I wanted to learn more about her and how she came to be in Briarwood. Ben Stuart, the ranch foreman at Hawk's Peak, has a bit of his own mysterious past, and the more time I spent with him and Amanda, the clearer their stories became. I hope you enjoy their tender, romantic adventure. A hawk and its mate soared high above their heads. White clouds tipped with gray created a continuous patchwork in the vast, blue sky, casting shadows over the snow-capped mountains. A cool, spring breeze caressed Amanda’s face and whipped her unbound hair over her shoulders. She’d left the house wearing only a shawl, preferring to relish in the warmer air after the long, harsh season. The winter of ’84 had been one of the coldest in Amanda’s memory. Although it had been her first in Montana, she was no stranger to the hardships of the western frontier. No matter how settled the land became or how many people from the East ventured in search of the same dreams which brought her parents west, she loved the wildness the land fought to retain. “I’ll never tire of this sight.” Not a soul within one hundred miles could miss the grand mountain ranges that crisscrossed the land and protected their valley. “I won’t either.” Brenna wore a heavier wool shawl, the edges gathered over her growing belly. Amanda smiled at her friend—one of many she’d made since arriving at Hawk’s Peak—and imagined Brenna as a new mother once again. Brenna and Ethan Gallagher already had one son, Jacob, named after Ethan’s father and born in Scotland, Brenna’s homeland. The courage to leave behind everything and everyone she knew at Cameron Manor to journey across an ocean and vast continent impressed Amanda. She’d embarked on her own journey when she left home, but it compared nothing to what Brenna must have experienced. “I envy you, Brenna.” Amanda continued walking, but it was Brenna who stopped, surprised by the quietly spoken words.